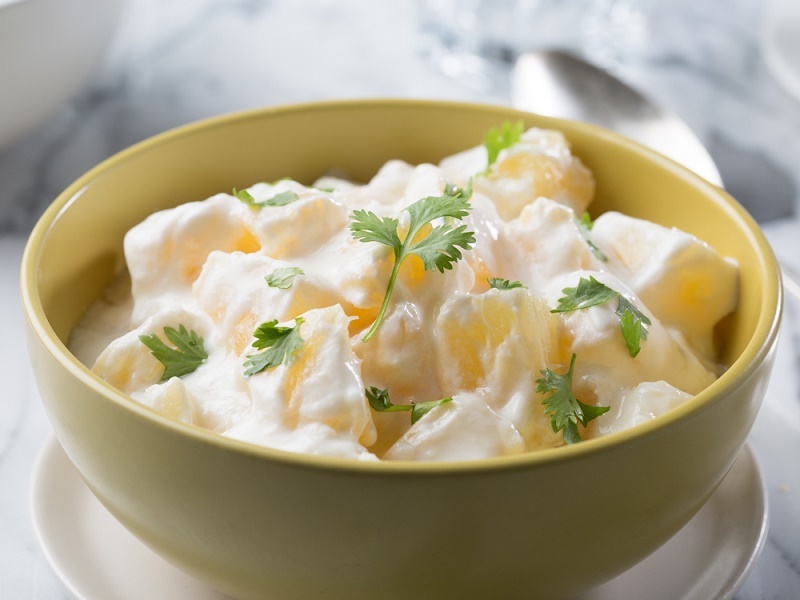 Farm fresh pineapples in tangy yogurt seasoned with Indian spices. Roasted cumin powder, approximately half teaspoon. one or two teaspoons Sugar or as per your taste. Roast the cumin seeds / jeera and powder it. If you like the taste of black salt or rock salt you can add the same. But adjust the normal salt accordingly. To make a more sweeter version, some recipes mix sugar in the curd during whisking.